Call 02380 080681 now. Lines are open 24 hours a day, 7 days a week. Call our industrial deafness team today for a no obligation discussion about hearing loss claims in Southampton. Due to the city’s history as an industrial centre and the shipping industry we are now helping more and more clients in claiming for industrial hearing loss compensation in Southampton. If you have been affected by deafness and have hearing loss symptoms due to your existing or previous employment conditions then please call us today. We work on a no win no fee* agreement meaning you can get access to justice no matter what your financial circumstances. 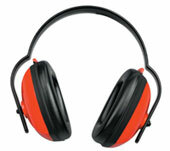 How to Make an Industrial Deafness Claim in Southampton? Claiming compensation for hearing loss and deafness is simple with our personal injury solicitors and lawyers. One phone call is all it might take to get you on the road to a monetary payment amount. We work very simply; when a client calls us we will assess the circumstances over the telephone and ask a few easy questions. Depending on your case, we will then refer you to one of our industrial deafness solicitors in Southampton and Hampshire. They will then act on your behalf to claim for compensation from the relevant insurance companies and businesses involved. In some occasions we can resolve cases within a couple of months, but there are time limits involved in being able to make a claim so we advise you call us immediately to get started with industrial hearing claims. If you have suffered hearing loss due to industrial noise and you live in the Southampton area then we can help you with a personal injury claim. In order for us to maximise your chance of success we will need to prove that the deafness was a result of your working environment. This could involve gathering witness statements, testimony, and any other evidence to help support your claim. We will want to show a timeline of when this happened at dates at which you were exposed to high levels of noise pollution. We will also insist on you taking the relevant hearing tests as this will form part of our case. By taking these essential steps we can ensure that your compensation for industrial hearing loss in Southampton is resolved quickly and with the best possible outcome. Claiming for industrial deafness in Southampton has never been simpler due to the way in which our solicitors work. They will arrange a meeting with you, get as much evidence as possible, then go away and commence with proceedings. In most cases the claim will be settled quickly and easily out of court. Our solicitors will also look to advise you on what disability benefits you are entitled to – more details of that on the Government’s website. If you would like to discuss a claim with us please call our number today for a free consultation on how we can help you to claim for compensation using our lawyers and solicitors. Our solicitors work on a no win no fee* agreement in all cases. They are all extremely friendly and understanding and know the industry inside and out – with over a decade of experience in supporting local client on similar personal injury claim types including industrial injury and disease cases. Contact us today for industrial deafness claims Southampton.